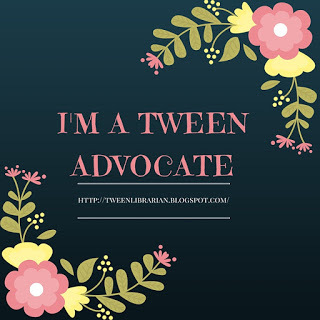 Please welcome author Sasha Dawn to GreenBeanTeenQueen! Her debut novel, Oblivion, is out this month. I always ask authors about libraries and reading and the impact it's had on their lives. I love her post-I tell the tweens and and teens at my library that you're never too old to be read aloud to and Ms. Dawn's post proves that! I LIVE; THEREFORE, I READ. My teen years were among the most tumultuous of my life, and that’s saying quite something, considering some of the challenges I’ve faced since. While I was in high school, in the interest of my safety, I lived with another family. I didn’t often have the power of choice, given I was essentially sponging off the family who’d welcomed me as child #7 in their home. For this reason, I found escape in books and tended to read whatever I could get my hands on—anything from romance novels to sci-fi to classics. While my pseudo-sisters were attending rock concerts and going on vacations, I was reading. Books were inexpensive leisure, and they took me on adventures I couldn’t otherwise afford. My high school English teacher, Janelle Maren, introduced me to Harper Lee’s To Kill a Mockingbird, and I absolutely fell in love with it from the very first paragraph. I read the novel over and over again, and every summer, when I ventured back home for occasional visits with my biological siblings, my brother and I took turns reading it aloud to each other. At least two decades have passed since Ken and I made a practice of lounging under a tree with Harper Lee. We both have families and careers and responsibilities, but those days are never far from our minds. They were the natural extension of the days I’d read to him during our childhood, depictions of simpler eras…and while he has yet to admit it, I suspect he named one of his daughters for the girl with the Big Red Dog. I read Emily Elizabeth with a southern lilt, and I’m certain that’s the reason my niece can fake an amazing drawl. Those moments with my brother and Harper Lee cemented a friendship, having given us the opportunity to enjoy inside jokes, such as “Pass the damn ham” at the Christmas table, and “Are you waked up good?” during early morning phone calls. We never fought like normal siblings, having bonded in our rare time together. He is Jem to my Scout. Reading (with Ken or alone) kept me safe and connected when I felt drastically alone. People overlook the importance of reading aloud to one another past early elementary school. But if novels award readers with incomparable solitary experiences, imagine what a good story can do to strengthen relationships. I salute books the way I acknowledge people who have made a difference in my life. In the words of Scout Finch, “Until I feared I would lose it, I never loved to read. One does not love breathing” (Lee). About Oblivion: One year ago, Callie was found in an abandoned apartment, scrawling words on the wall: "I KILLED HIM. His blood is on my hands. His heart is in my soul. I KILLED HIM." But she remembers nothing of that night or of the previous thirty-six hours. All she knows is that her father, the reverend at the Church of the Holy Promise, is missing, as is Hannah, a young girl from the parish. Their disappearances have to be connected and Callie knows that her father was not a righteous man. Want to win a copy of Oblivion? Leave a comment below with your favorite book to read aloud! And follow the tour for more from Sasha Dawn and more chances to win! My daughter is 8 months old and I will read pretty much anything aloud to her and she loves it. It is one of the few ways I can get a little bit of reading accomplished. I do love to read any classic fairytales aloud and the If You Give A... books. Harry Potter is also great. I teach middle school, and my favorite novel to read aloud is Tears of a Tiger by Sharon Draper. I have parts memorized; it never fails to make me cry, even when I read it four times a day to different classes. It's a wonderful book that pulls in even the most reluctant reader. I don't have a favorite book to read aloud but I do like to read poems aloud. I don't have a favorite book to read aloud,but I love to read all sorts of books to my grandkids. One time, on one of my family's various road trips, I read the book called Little Long Nose by Wilhelm Hauff to everyone for 8 hours, telling the story about 5 times. The art by Laura Stoddart in the book is absolutely exquisite and to this day it is still my favourite book. I've loved hearing about everything we read aloud to others. Thanks, all, for sharing!